How Many Babies Do Mice Have In A Litter And In Their Lifespan? Mice have a reputation for being prolific breeders. But how many babies do mice have in a litter, or indeed in their entire lifespan? And does this number differ in the wild versus in captivity? The average mouse is between three and four inches long in body, not including the tail, which adds another three to four inches to overall length. This doesn’t leave a lot of room inside the mama mouse for mouse babies! Luckily, each baby is only about the size of a quarter when they are born. After the female mouse becomes pregnant, her average gestation period is 18 to 21 days. But here’s the really amazing part – a female mouse can have anywhere from 4 to 15 litters each year! The baby mice grow up quickly and young females will be ready to conceive and have their own babies in a handful of weeks. Female mice can have anywhere from 3 to 12 babies per litter. But the typical litter size is between 5 and 6 pups. How many babies do field mice have? Field mice are also called deer mice. This is a different species of mouse than the common house mouse, although the two species are often confused. Their coloring is slightly different and field mice have hair on their tails, whereas house mice have hairless tails. One critical difference between field mice and house mice is that only the former carries the deadly Hantavirus Pulmonary Syndrome, a respiratory disease that people can catch. Field mice pups grow up quickly and will be ready to breed between 7 and 12 weeks of age. Wild field mice breed only from March through October, and each adult female can deliver two to four litters per year, of 3 to 11 pups per litter. How many babies do house mice have? The house mouse is arguably the best-known species of mouse in the world. This is because these mice are both the most common invasive wild mice and the species that has become domesticated into pet mice. It nearly goes without saying that house mice are incredibly resilient and resourceful. Adult wild house mice generally live less than one year, while their pet counterparts can live up to three years. When wild, house mice mature earlier than their pet counterparts do, and often start having young as early as four weeks of age. The average litter size of a wild house mouse is between four and seven pups. Wild house mice will have six to eight litters a year. In the wild, house mice live in family units called “demes.” One study took a deme of 20 mice, provided them with a secure outdoor home with ample food and water, and watched in wonder as they multiplied into a deme of 2,000 mice in less than a year! Unlike their wild counterparts, pet mice tend to enjoy a safe habitat plus ample food and water. 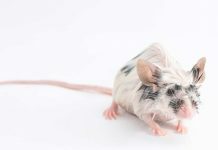 This can create excellent conditions for breeding, as many a surprised new pet mouse owner has woken up one morning to discover! 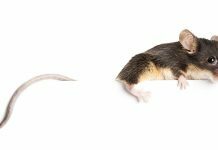 Pet mice tend to outlive their wild cousins for these same reasons. While most wild mice live less than 12 months, pet mice can live up to 3 years. So how many mice in a litter? 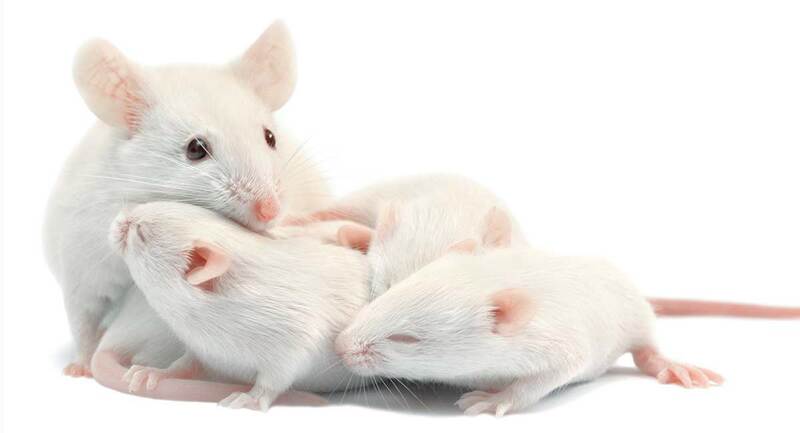 A female pet mouse will be ready to breed at 6 weeks. A male pet mouse needs another week or so and will be ready at 7 to 8 weeks old. When the female conceives, she will carry her young for 19 to 21 days. Once she gives birth, she can become pregnant again within 24 hours! How many babies can mice have at once? Pet mice can produce up to 15 litters in a single year and can have 10 to 12 pups per litter. What factors impact litter numbers? Many factors can impact how many babies do mice have in each litter and annually. 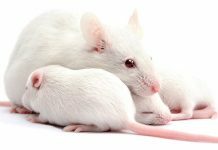 Pet mice clearly fare much better than their wild cousins in this department – comfortable, safe housing and plentiful food and water can keep the parent mice popping out pups at an astonishing rate! In the wild, however, mice have what may just be the longest list of natural predators of any prey animal. For this reason, a wild mouse has less time and energy to produce young and must spend a great deal of time hiding and foraging for food. Also, the shortened lifespan (less than 12 months for a wild mouse versus 3 years for a pet mouse) impacts how many litters of pups a wild mouse can raise. How many babies do mice have? 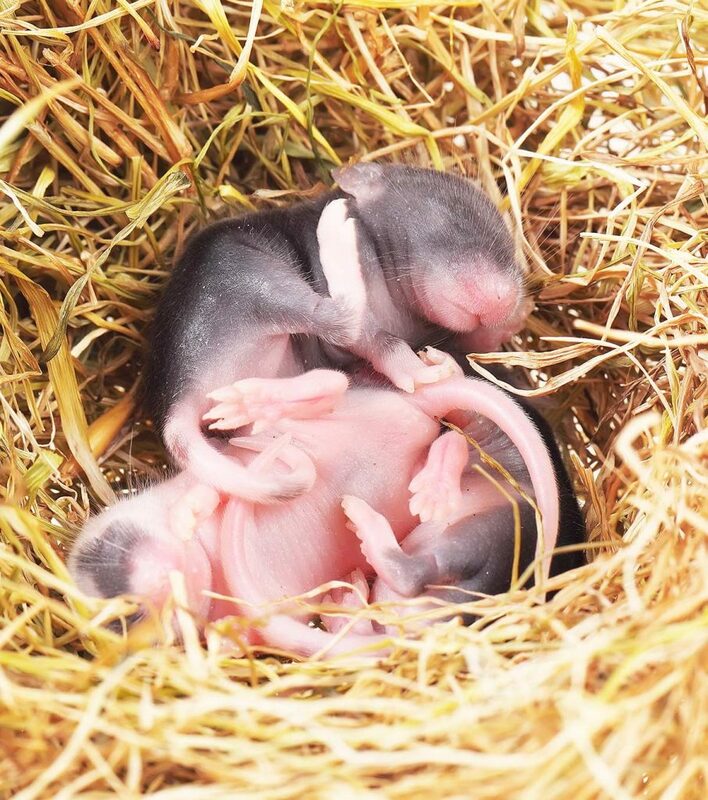 Have you ever kept a breeding pair of pet mice or rescued a baby wild mouse pup? Please drop us a comment to share your story! Bradford, A., “Mouse Facts: Habits, Habitat & Types of Mice,” Live Science, 2014. Quesenberry, K. E., DVM, MPH, DABVP (Avian), et al, “Breeding and Reproduction of Mice,” Merck Veterinary Manual, 2018. Stadler, R., “Mouse Lifespan: How Long Do Mice Live?,” Earthkind, 2017. Witmer, G., et al, “What’s Up with House Mice? – A Review,” USDA APHIS Wildlife Services, 2006. Saunders, D.A., “Deer Mouse,” Adirondack Ecological Center/ESF Newcomb Campus College of Environmental Science and Forestry, 1988. Previous articleAre Hamsters Rodents Or Do They Fall Into Another Category? Can Mice Climb Trees, Walls Or Even Glass? Can Mice Swim Or Do They Prefer To Stay On Dry Land? We just “rescued” 3 baby house mice today. Not sure we’re doing the right thing, but they were just too cute to put out in the cold, or dispose of. My 16 year old son saw and caught the first one while alone at home, a second showed up shortly after I returned home, the 3rd while we were figuring out where we were going to house them.